LAPWYNG are a brand new young energetic trio based in Glasgow. Their music is rooted in Scottish Folk music, as well as drawing on jazz and Scandinavian influences. The band features Euan McLaughlin on Guitar & Fiddle from Edinburgh, where he studied at the City of Edinburgh Music School. He now studies Traditional Music at the Royal Conservatiore of Scotland. 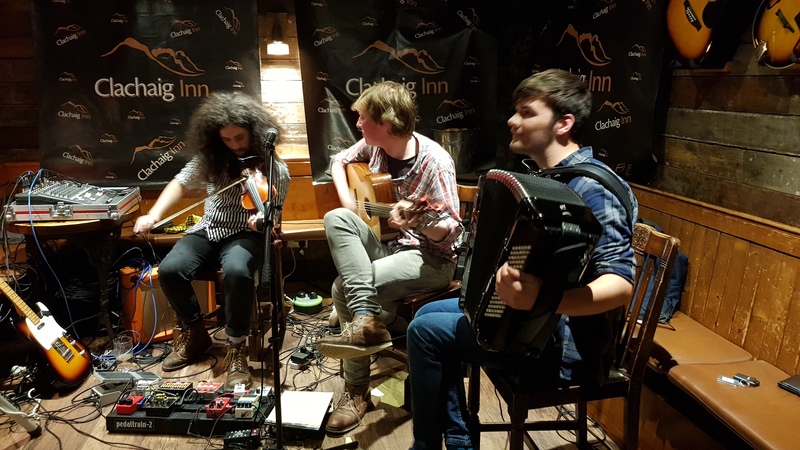 Ewen White Accordion) and Alasdair Mackenzie (Guitar & Vocals) both grew up in the Scottish Highlands, and spent three years together at the National Centre of Excellence in Traditional Music in Plockton. The trio combine the old with the new with original compositions and traditional tunes. Collectively they have performed with bands such as Baile, Dante, Mabel & The Freewheelers, Feis Rois and Snas.